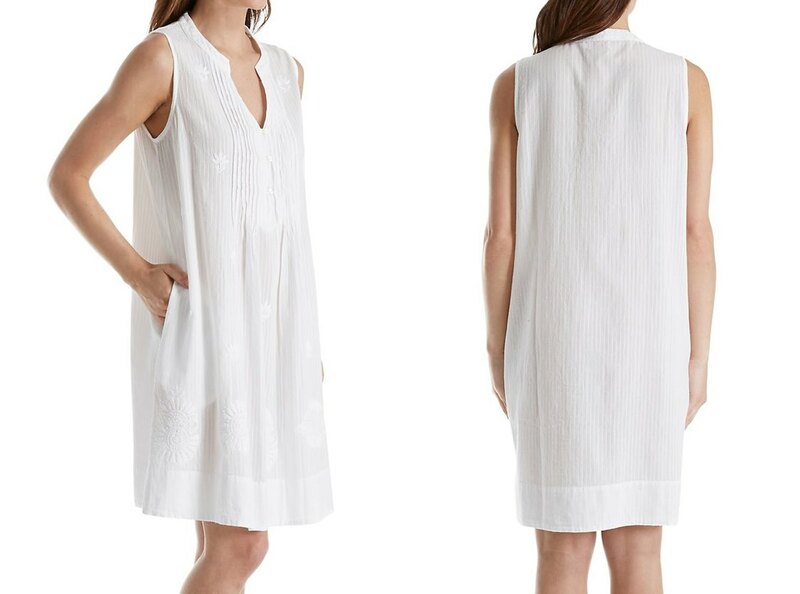 White Cotton Nightgowns - As much as women love lavish and fully loaded beautiful lingerie, sometimes there’s nothing sweeter than the simplicity of a pristine cotton nightgown in white. We can’t get enough of La Cera’s stunning white nightgowns. Why? This brand offers other clothing and lingerie options but it’s the elegant white cotton nightgowns that we’re drawn to. We love their classic styling and beautiful options, from fully covered long nightgowns to sexier slips and chemises. Their cotton fabrics are sourced from around the world to create these feminine and lovely gowns that are rich with pretty design details. White is a smart color choice for hot, humid weather because it reflects heat away from the body. Leave it Thea to design the most stunning yet simple cotton nightgowns. We adore all of their designs for their luxe fabrics and romantic, feminine styles, so it’s no surprise that their white nightgowns are one of our top picks. Using only the finest quality pure cottons, Thea designs beautiful night gowns knowing that women want to feel pretty and pampered with gorgeous detailing. We also love that Thea believes in giving back to the community. Their nightgowns, chemises, robes and entire sleepwear line is all carefully created with socially responsible manufacturing. It may come as a surprise that we chose Hanky Panky as a top brand for white cotton nightgowns when they’re best known for their cult-favorite stretch lace thongs. Take a closer look and you'll see why we adore the way this flirty brand has brought a new, modern twist to classic cotton nightgowns, breathing new life into this timeless style. Hanky Panky has infused their designs with a youthful and innovative sensibility, using ultra soft stretch cotton for a luxurious, and comfortable, combination. Slip into one of these gorgeous nightgowns and you’ll instantly see why they’ve made our list of top brands in the world. Once you discover Eileen West’s cotton sleepwear you’ll be hooked for life. We love the way this San Francisco based brand combines a cool, California freshness with couture details. Their featherweight nightgowns use the highest quality cottons and trims, making an Eileen West nightgown a special treat every time you slip it on. Ask anyone who adores elegant womens sleepwear which brands they prefer and Eileen West will always be a top choice. Thanks to the miraculous moisture wicking properties of the cotton fiber it guides sweat away from the skin. Cotton is known as a breathable fabric that lets air circulate around the body, allowing the wearer to stay cool and comfortable. We love this New York based women’s ready-to-wear and beautiful lingerie brand that combines the best of high fashion and simple cotton sleepwear for women. Not all sleepwear brands offer organic fabrics that are ethically sourced like Only Hearts, so this is a perfect choice for women who prefer natural fibers. Their chic fashion line allows them to incorporate today’s hottest runway trends into their luxe organic cotton nightgowns, making each piece from their line feel fit for a celebrity or style icon.